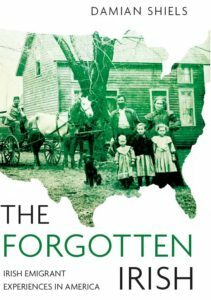 Identifying the Irishman who Fired the Union's First Shot of the American Civil War? 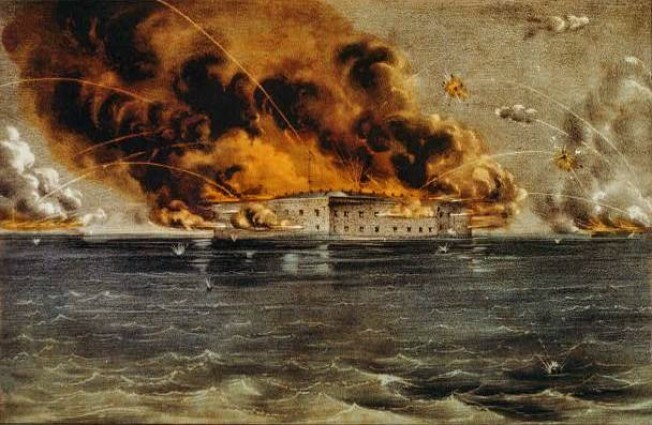 Around 4.30am on 12th April 1861, Confederate artillery fire erupted on the U.S. occupied Fort Sumter in Charleston Harbor, South Carolina. These shots marked the start of the American Civil War. Some two and a half hours later, at about 7am, the guns of Sumter replied to the barrage, firing the first shots in defence of the Union. Captain Abner Doubleday was the officer in charge of the gun that fired this first round in anger for the North- but was the soldier who actually pulled the lanyard an Irishman? 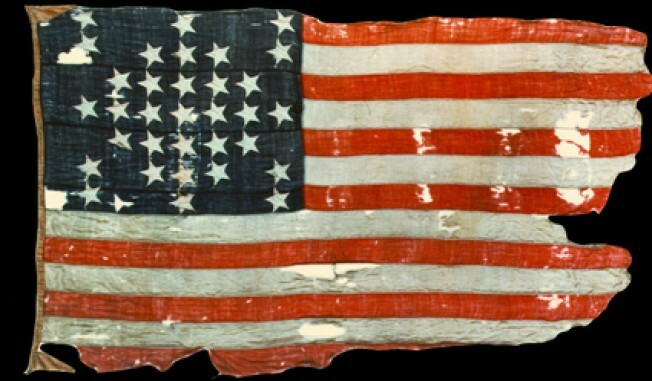 The Union men in Fort Sumter had initially been located at Fort Moultrie, but following South Carolina’s secession their commander Major Robert Anderson determined to shift the garrison to the more secure Sumter, which lay in the middle of Charleston Harbor. Anderson made the move on the night of 26th December 1860, but from here effectively became besieged. This sparked the crisis that came to a head with the action of April 12th 1861, when the Confederates opened fire on Sumter to prevent its imminent relief. Private Gibbons of Company E, First Regiment of the United States Artillery, has been in the United States service for many years. He has crossed the Continent overland and has undergone great hardships and dangers among the Indian tribes in the far west, in Texas, and also more recently in Florida. He was one of the most loyal, efficient, gallant, and zealous defenders of the flag at Fort Sumter. He has always been a good soldier and I cheerfully recommend him to the good offices of those who value courage, patriotism, and good conduct. 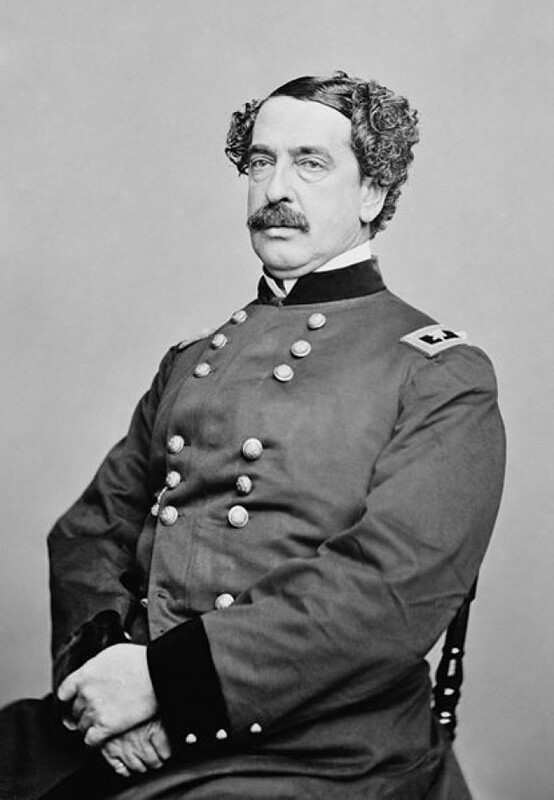 Abner Doubleday is widely regarded as the man who fired the first shot for the Union in the American Civil War. However in his own account of the event he does not actually state that he physically fired the round, and it is possible that what he means is that he ordered the aiming of the gun and gave the verbal command for it to fire, as would have been usual at the time. James Gibbons claims to have been the man who physically pulled the lanyard that sent the first shell on its way towards the target. 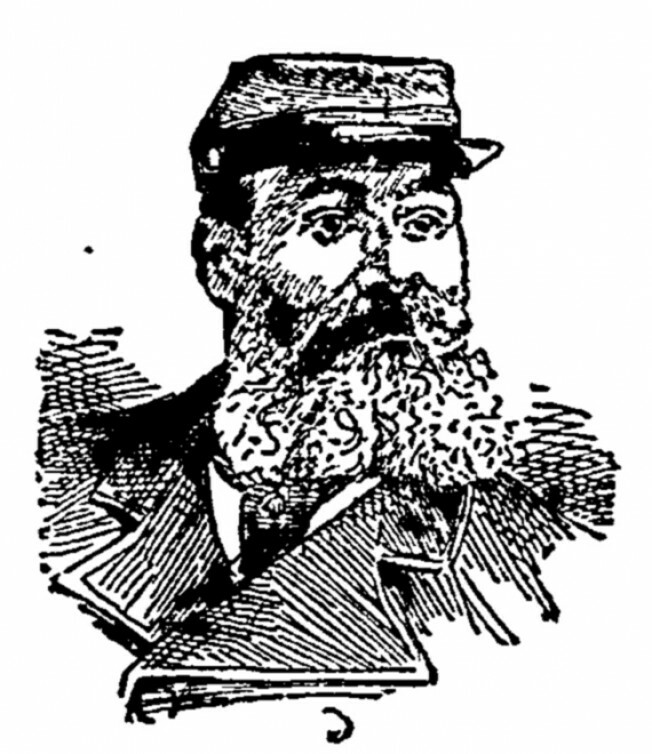 It is of course somewhat immaterial to distinguish between the officer who commanded the gun to be fired and the soldier who physically executed the order- both would have a right to claim that they fired the ‘first shot.’ Nonetheless the Galwayman does have a strong claim to involvement in the event, and one which is certainly worthy of further examination. The first Union death of the Civil War was an Irishman- Tipperary native Private Daniel Hough of the Sumter garrison- it maybe that his countryman James Gibbons may yet be rescued from relative obscurity, and be seen as the first man to fire in defence of the cause of Union. * See for example the Elkhart Daily Review of 18th March 1893 (Elkhart, Indiana); Daily Telegram of 20th February 1893 (Adrian, Michigan); Philadelphia Inquirer of 25th January 1904 (Philadelphia, Pennsylvania). We know one thing that was held aginst Gibbons. Gibbons was a #2 gunner in Doubleday’s crew. According to drill, the #2 gunner was not assigned the duty of pulling the lanyard—this is why there was a storm aginst him. I spent several days seeing where he ended up? He was in his second 5 year hitch at sumter…..I could find no record hat he reenlisted in the regulars or switched to the volunteeers? How about you? I would love to get the breakdown of Soubleday’s crew but couldn’t find it have you come across it? I am the same I couldn’t see if he continued in the service after 1862- there are obviously a few others with the same name who served but I haven’t as yet been able to firmly tie them down as the same man. It is yet another story I would like to look into further!